Below you can view all the homes for sale in the Daniel Island subdivision located in Charleston South Carolina. 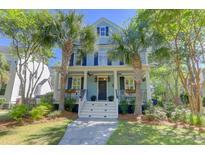 Listings in Daniel Island are updated daily from data we receive from the Charleston multiple listing service. To learn more about any of these homes or to receive custom notifications when a new property is listed for sale in Daniel Island, give us a call at 843-968-0890. Access to Daniel Island's renowned trail system is steps from your front door. MLS#19011320. Daniel Island Real Estate Co Inc.
MLS#19011163. Colliers International Charleston Llc. There are three additional bedrooms, one which is MLS#19011062. Dunes Properties. The monthly HOA fee covers gas and water. The condo include MLS#19011060. Keller Williams Realty Charleston. You will find great dining and shopping, businesses, schools and the Volvo Car Stadium, home to the annual Volvo Car Open and dozens of concerts! MLS#19010883. Daniel Island Real Estate Co Inc. Many amenities are a short walk away including a beautiful pool/ hot tub area, multiple grilling areas, a clubhouse featuring a fitness center and activities room, putting green and walking/biking trails. MLS#19010825. Brand Name Real Estate. The builder is also a local resident of Daniel Island. MLS#19010668. Daniel Island Real Estate Co Inc. This exceptional home is located in the Smythe Park neighborhood of Daniel Island and is situated across the street from the beautiful 22-acre park and lake framed within spacious parklands and gardens. MLS#19010690. Daniel Island Real Estate Co Inc. Apartment over the garage for an au pair or guest MLS#19010660. Century 21 Properties Plus. Enter to an open floor plan that flows beautifully to the back MLS#19010726. Keller Williams Realty Charleston. LOTS of upgrades and well maintained two story,4 beds/3 bath home,with hardwood floors throughout the downstairs.MASTER bedroom perfectly located DOWNSTAIRS, along with a 4th bedroom/office with access to full bathroom.OPEN PORCH in the front connected w/ the screened section of porch from the dining area.Open floor plan, fireplace, cozy LIVINGROOM!Fenced backyard with 6th privacy fence, beautifully landscaped and a nice patio/gazebo/fire pit, just perfect for evening entertainment.The 2 detached car garage has customized shelving and large closet safe that will convey.Many upgrades:gas lantern at the front door;plantation shatters+roman shades;tankless water heater;hurricane shatters;california closet in master;painted inside and outside;SPA shower.X flood zone=no flood insurance required MLS#19010646. Carolina One Real Estate. rent to help with the mortgage or could be used for a mother in law suite or office. MLS#19010547. Charleston Metro Homes, Llc..
To your left is the built-in wine cooler with custom cabinet & shelving. MLS#19010426. Keller Williams Realty Charleston. Ride your golf cart to the grocery store or to pick up dry cleaning! MLS#19010294. Carolina One Real Estate. The pace is slow and convenient to everything. MLS#19010273. Daniel Island Real Estate Co Inc. Gleaming hardwood floors are found throughout the main living areas, stairs and upstairs hallways. MLS#19010214. Daniel Island Real Estate Co Inc.
Professional landscaping adorns the fully enclosed back yard with a privacy fence. MLS#19010008. Keller Williams Realty Charleston. Set on a premier site overlooking the Wando River, the expansive sunrise views of the marsh and surrounding creeks frame this Lowcountry masterpiece appropriate to the work of art contained within. MLS#19009570. Daniel Island Real Estate Co Inc.
On the second floor, there is a spacious master suite with a private balcony, dual closets, a large bathroom with jetted soaking tub, a multi jet spa shower and dual vanities. There are three additional bedrooms, MLS#19009516. Island House Real Estate. At the front of the home, a foyer steeped in grandeur awaits with shiplap and MLS#19009329. Daniel Island Real Estate Co Inc. This Charleston home features a cozy double front porch where you can relax and enjoy the low county breeze. MLS#19009253. Daniel Island Real Estate Co Inc. Buyer pays a one time neighborhood enhancement fee of .5% x sales price to Daniel Island Community Fund at closing. Daniel MLS#19009284. Charleston Flat Fee Real Estate. True lowcountry living with double porches on the front and large landscaped fenced in backyard. MLS#19009172. Daniel Island Real Estate Co Inc. The master suite features wonderful morning sun and a large walk-in closet. MLS#19009177. Keller Williams Realty Charleston. Never have to get in the car to take your kids to school! MLS#19009093. Ocean Realty.